Precision Planting is a leader in modern agriculture technology, specializing in planting control systems and monitors. We provide agricultural technology and equipment from Precision Planting as a Precision Agriculture Dealer. 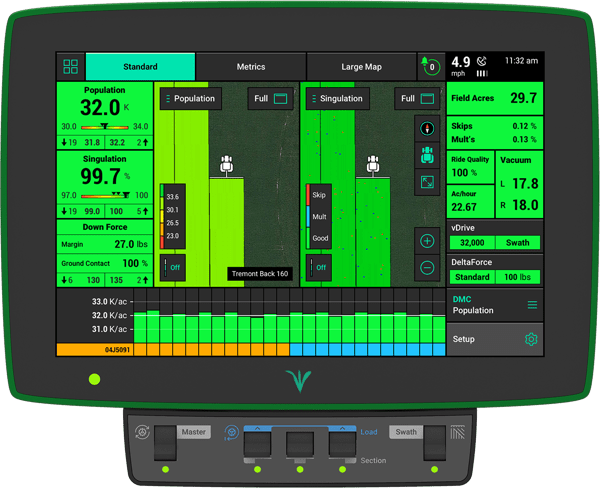 Investing in the right kind of technology and tools for your farming operation can greatly improve yields and make the entire operation run smoother and more efficiently. The Precision Planting products that we offer as Precision Ag Dealers can keep your operation up and running and maximize yield potential. These are all products that we can provide you with here at West Enterprises. Contact us today to get the best in agricultural technology for your farm. We exist to help farmers in the area get the most out of their time, effort, and money. Part of this is making sure that you have top-notch equipment. Ensuring that the technology and equipment that you use is the best in the business can not only improve your harvest but also give you an advantage over the competition. As Precision Ag Dealers, West Enterprises can give you Precision Planting products at an affordable price. We will help you determine which products are right for you and supply you with the best options. Contact us right away to improve the functionality of your farm in the Geneseo, IL area.